All content and images are used with permission. Content and images are provided for personal use only. Not for redistribution. Above is a temporary holding storage bin I am using during my water blaster collection re-organization project. 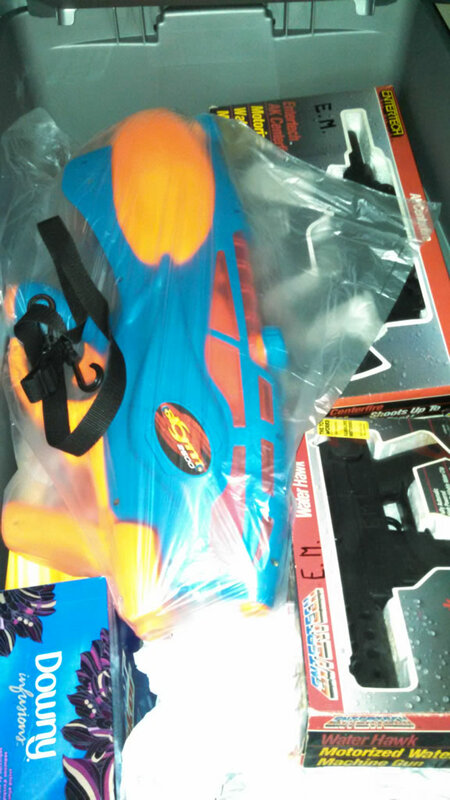 I've found some of my other water blaster brand items such as the Storm 2500 and Entertech Water Hawk.